Miller Lite, the exclusive beer sponsor of the Mexican soccer team Club Deportivo Guadalajara, widely known as Chivas, is bringing the action of the Clausura season directly to legal-drinking-age consumers through a partnership with Telemundo. Fans will have exclusive access to live-streamed Chivas games via their smartphones. Miller Lite’s partnership with Telemundo leverages the network’s ability to broadcast live games on its mobile portal, making Chivas games more accessible to the team’s followers nationwide. Chivas games are broadcast to smartphones during the Clausura season, including a match against Toluca taking place March 24, and the Clásicos matches against America April 7 and Atlas April 21. 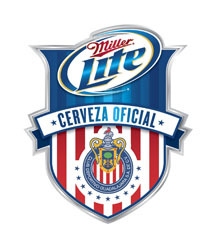 Miller Lite is the first beer brand to place ads on streaming Chivas games. Consumers can visit www.msnlatino.telemundo.com/deportes.